Vero Water has unveiled the largest machine in its range of unique on-site purified drinking water systems. 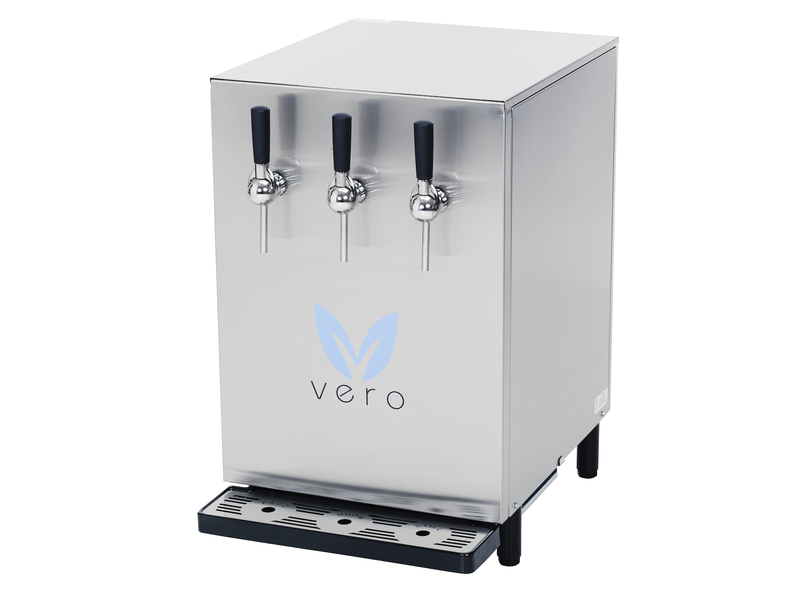 The Vero +4 has been designed for high volume dispensing and is capable of delivering 1 litre of water per 20 seconds, which is suitable for large bars, pubs, hotels, restaurants and conference venues catering for up to 500 people. The new unit is the first Vero machine to have an integrated filter system, making it more streamlined. Vero Water systems are the perfect alternative to buying in expensive bottled water, enabling the hospitality industry to offer customers purified, chilled and great-tasting still and sparkling water very inexpensively, while also making a profit. The environmental benefits of Vero Water systems are significant, as not only do they create a practically zero carbon footprint, but they also help to keep landfills free of one-use glass and plastic waste. The rental for the Vero unit is very low, which means bars can keep the cost to a mini-mum for their customers as well. A bar can sell a 950ml bottle of Vero water for just £1 — any other type of bought-in bottled water would probably cost the customer £4 or more. So, the more Vero water a bar sells, the more money it makes. The new Vero +4 system is already proving popular. One of the UK’s top wedding and events venues, Elmore Court, in Gloucestershire, has invested in a unit as part of its vision to become a truly sustainable and eco-friendly business. 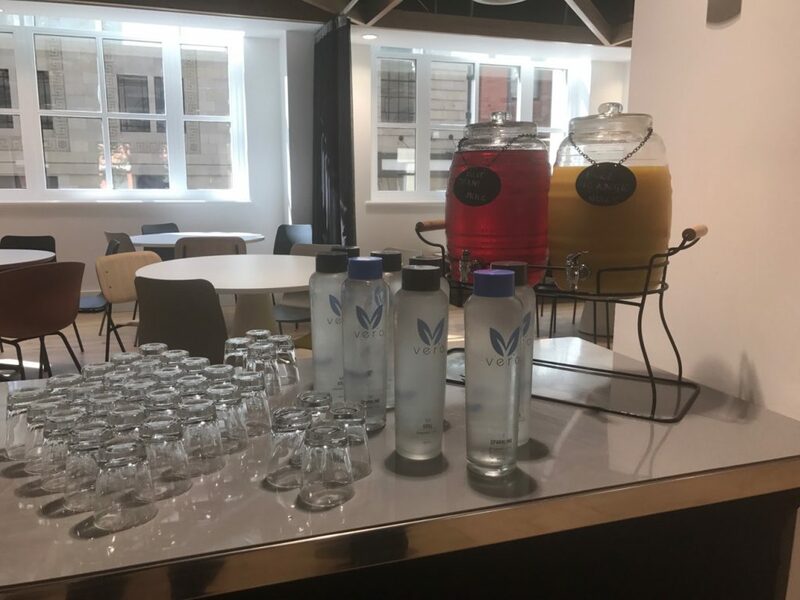 Leeds Beckett University’s conference department, Well Met, has also invested in a new Vero +4 system as a cost-effective, high quality and eco-friendly alternative to bot-tled mineral water at its brand new dedicated conference venue, Cloth Hall Court.